There have been 23 planning applications that have been passed under Wales’ ‘One Planet’ Development Policy since its inception in 2010. As of 22 November 2016 there were ten approved applications, comprising thirteen individual OPDs. 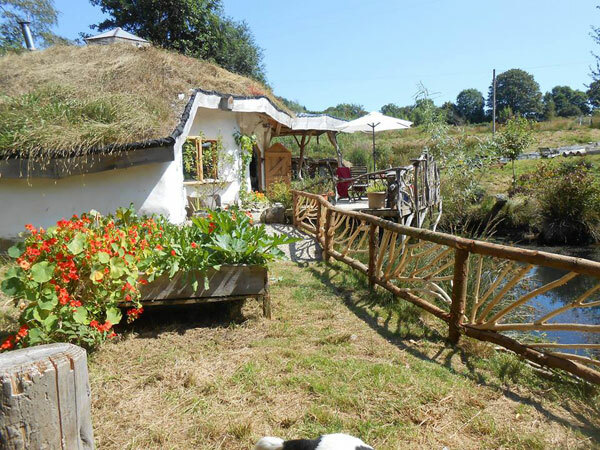 In addition there are nine ‘One Planet’ plots at the Lammas Eco Village in Glandwr, plus John Hargrave’s Green Apple in Cosheston, Pembrokeshire. Both of these were granted planning permission under Pembrokeshire’s earlier, groundbreaking ‘low impact’ Policy 52, which is actually harder to satisfy than the Welsh government’s subsequent policy guidelines, TAN 6, which defines One Planet Development in the open countryside in Wales. This makes a total of twenty three individual One Planet Development smallholdings. Here they are, with links to their five year management plans, as submitted in order to win planning permission. Tir Sisial: A prospective application for 5 year temporary permission for a woodland-based holding in Ceredigion, Approved at a local level in November 2011. Tir Sisial OPD Management Plan. • Find out more – and buy – the book which explains how to achieve The One Planet Life.